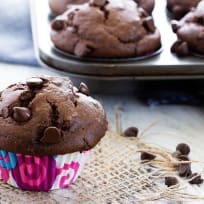 If there ever were a muffin I could shovel into my face on the daily, it would be these cherry chocolate chip muffins. I've been quite smitten with cherries this summer, popping them like candy every time I walk past the cherry colander I keep filled at all times. So far the best cherries I've experienced this summer have come from a local farmer that set up shop at one of the farmers' markets I frequent every Saturday. They were candy-sweet and the deepest crimson red. After consuming over half the carton, I decided they deserved more justice. 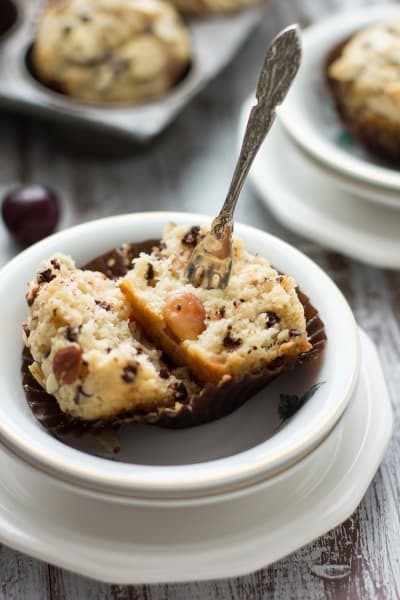 I used a handful to make a fresh batch of cherry syrup for this cherry-kissed prosecco spritzer recipe, and I folded the remaining cherries into this muffin batter. 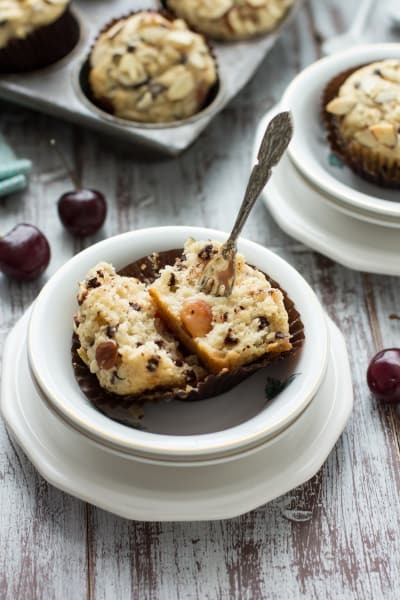 I mixed up my favorite muffin batter and tossed in a heaping cup of freshly pitted cherries. If you've ever pitted cherries then you know it's an act of pure love — love of being in the kitchen, love of eating, and love of feeding others. At the end of the deed, you'll walk away with stained fingertips, a crimson-colored cutting board, and splattered clothing (best to wear an apron). 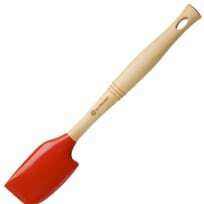 If you're going to pit cherries, please invest in a cherry pitter. It was by far the best investment I made 2 years ago. Before the cherry pitter, I used a paring knife and the task proved tedious and dangerous — I came close to cutting off a finger numerous times. I can promise you this: the effort is worth the reward. 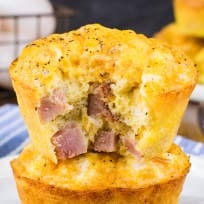 These muffins bake up moist and fluffy with a tender crumb. 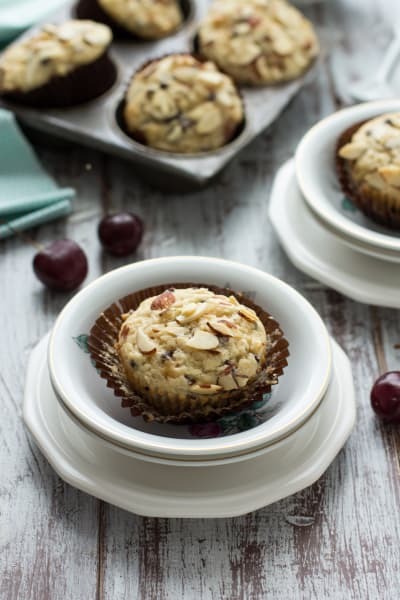 I added a splash of almond extract to bring out the natural flavor of the cherries and added sliced almonds to the top of the muffins for crunch. 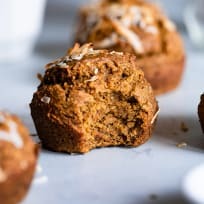 The almonds toast and become extra nutty as the muffins bake. Let's not forget about the chocolate. I added a generous amount of mini chocolate chips to the batter because, as we all know, chocolate makes everything better. 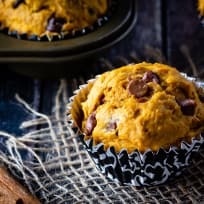 If you want to splurge, pair your muffin with a glass of dirty chai tea latte. Preheat oven to 350°F. 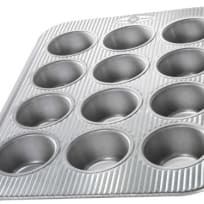 Line a 12-cup muffin tin with liners or lightly spray with oil. 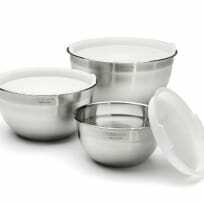 In a large mixing bowl, whisk together flour, granulated and brown sugars, baking powder, and salt until combined. In a separate bowl, whisk together butter, vanilla and almond extracts, eggs, and buttermilk until thoroughly combined. Make a well in the center of the dry ingredients and pour in the wet mixture. Whisk until just combined. 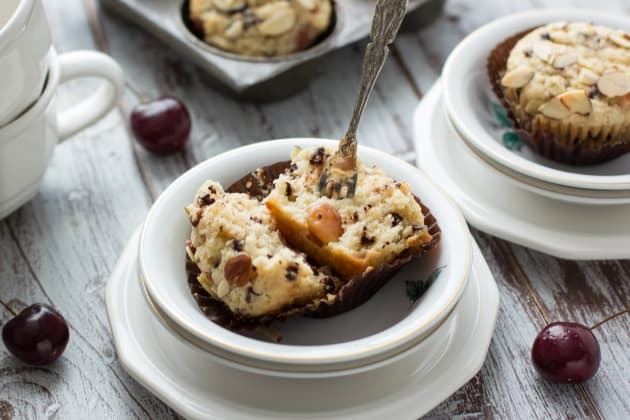 Fold in the cherries and chocolate chips. 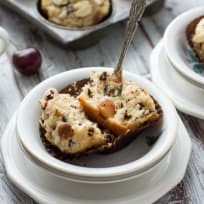 With an ice cream scoop, spoon the batter into the prepared muffin cups, filling them approximately two-thirds full. Sprinkle the tops each with 1 tablespoon of the sliced almonds. Bake for 25-30 minutes, or until the muffins are golden brown and a toothpick inserted in the center comes out clean. Remove from the oven and allow the muffins to cool for 10 minutes in the pan. Turn the muffins out of the pan. Serve immediately or at room temperature. The muffins will keep for 2 days in an airtight container.